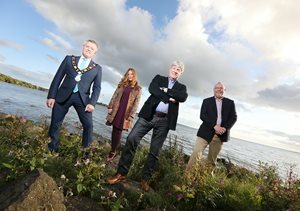 A new series taking UTV presenter Joe Mahon on a unique tour of Lough Neagh has been launched to an invited audience with Antrim & Newtownabbey Borough Council ahead of its first episode, which will be screened on UTV at 8pm on Monday 17 September. The eight part series takes Joe onto and around the largest freshwater lake in the UK and Ireland where viewers will see him fishing for eel in the dead of night, canoeing and learning hunting skills on the shores of the lough, digging with archaeologists, visiting the oldest thatched roofed pub in Ireland and learning the traditional craft of boat building. 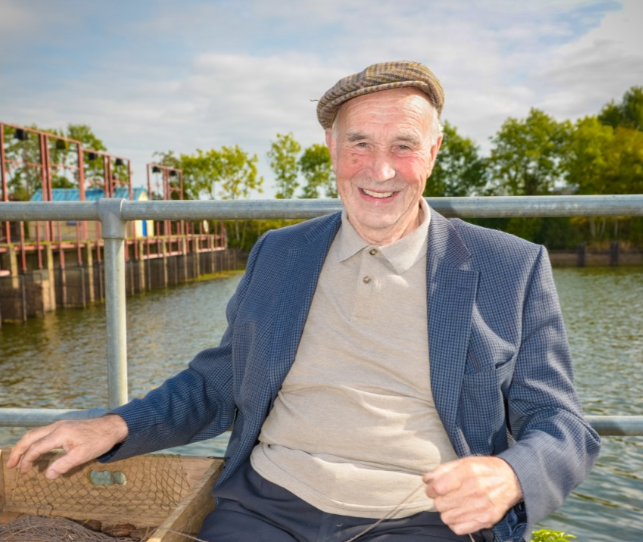 Gerry Darby of Lough Neagh Partnership said: “This is the first locally produced television series dedicated to exposing the culture and heritage of Lough Neagh and its surrounds. It has been a pleasure for the team at Lough Neagh Partnership to be able to work hand in hand with Joe on this series to showcase the authenticity of this area. We believe he has really captured the essence of everyday life in the heart of mid Ulster to enthral UTV viewers with this unique insight into the place that we are so proud of. Lough Neagh, sponsored by Connollys of Moy, starts Monday 17 September at 8pm on UTV. Are you interested in your place and it’s past? Would you like to know how to research, record and archive your local history? Lough Neagh Landscape partnership is offering you heritage training and advice. Training is FREE but places are limited, so book early! Please contact Chris McCarney volunteer officer on 077 8824 9517. The Second World War was to have a massive impact on the greater Lough Neagh area and this is still very evident in the built and cultural heritage of the area today. In order to explore the cultural legacy of the Second World War on the Lough Neagh area, Lough Neagh Partnership is hosting a free to attend two day conference on 16 and 17 October. The two day event begins in The Old Courthouse in Antrim on 16 October exploring the role of the Second World War through various talks to inform delegates of the stories associated with those from the Lough area and the service personnel based there. Associated stories of rationing, military aviation, haunted places, evacuees and refugees, soldiers and airmen. Delegates will then be encouraged to participate in lively discussion after each session. Liam Campbell, Lough Neagh Partnership, said: “Covering a diverse range of topics the packed agenda on this two day conference will appeal to anyone interested in history and the future of life and living on the Lough. “We have engaged community historians, archaeologists, authors and leading researchers, who have a very real interest on the impact of the Second World War around Lough Neagh to share their knowledge during what promises to be a great two days. On 17 October delegates will be taken on a guided bus tour of the major Second World War sites including Toome, Ardboe/Clontoe, Langford Lodge and will visit the Ulster Aviation Society at Maze Long Kesh. To attend ‘Overhead and Underfoot’, book your place by contacting Lough Neagh Partnership on tel 028 7941 7941 or by email at info@discoverloughneagh.com as advance booking is essential. 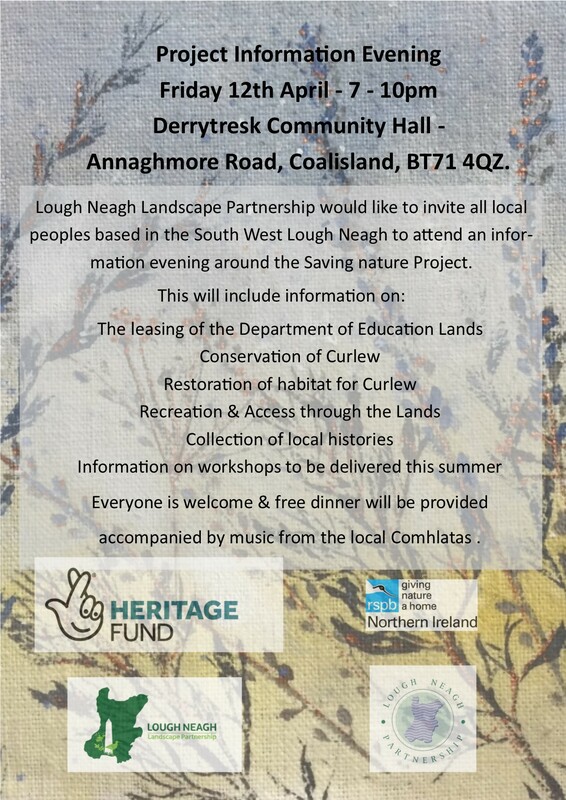 Lough Neagh Partnership through its Heritage Lottery funded Landscape Programme is promoting this conference with support from Antrim & Newtownabbey Borough Council. 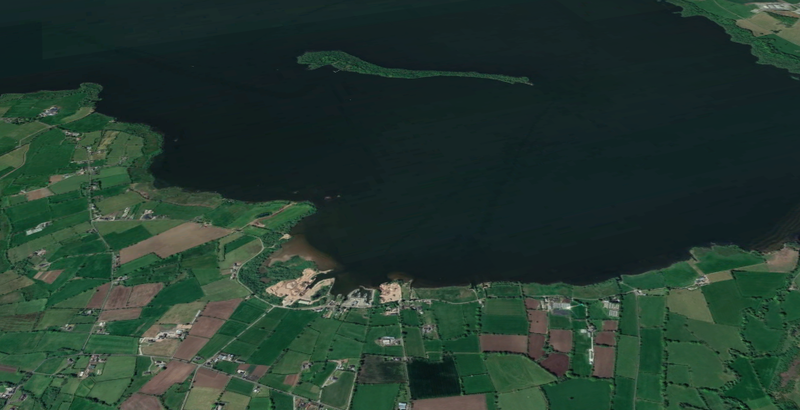 Archaeologists have rediscovered a fort from four centuries ago which had disappeared beneath the surface of what used to be the shoreline of Lough Neagh. Students from Queen’s University in Belfast have taken part in the dig at Brocagh in County Tyrone over the past month. Evidence of a settlement going back thousands of years has also been found. The dig was commissioned by the Lough Neagh Landscape Partnership. It had support from the Heritage Lottery Fund. Mountjoy fort was built as the Tudor military campaign encroached on the territory of Hugh O’Neill, Earl of Ulster, towards the end of the Nine Years’ War. The site was strategically significant. The work of royal cartographer, Richard Bartlett, had already provided key clues for the archaeologists. “Bartlett in the early 1600s is going around mapping out what existed here, so we’ve a wonderful map of the period,” said Liam Campbell, built and cultural officer with the Partnership. “Richard Bartlett’s map shows a fort here and we know that there are between 1000 and 1200 soldiers mustered here. Lough Neagh, known as Lough Sydney in the early 17th century, used to lap the bottom of a cliff face just 100m or so from where the fort would have been. But the lowering of water levels over the century has left the site almost four times as far from the water’s edge now. “If you take all of Ulster, Lough Neagh is like the hub of a bicycle wheel and all went out from around it,” Mr Campbell said. “So, this place might look peripheral, but it was really, really central. “We’re on the historical lough shore – this was a major source of food and protein, so people are actually here hunting, gathering and fishing. The dig has confirmed that the history goes back far beyond the 17th century fort, evident in geo-physical surveys carried out before the work started. The archaeologists explored between three and four metres down, finding not only evidence of the fort, but of a settlement going back thousands of years. “We’ve excavated everything manually, and we have uncovered a considerable ditch running across our trench,” said Ruairí Ó Baoill, an archaeologist with Queen’s University Belfast. 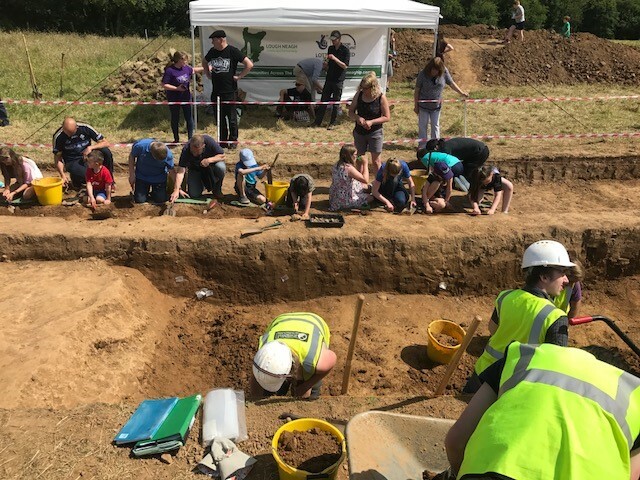 “In that ditch is 16th century pottery, fragments of rotary querns for grinding corn, red brick, Gaelic Irish pottery, bits of [Victorian] clay pipe and we’re very happy,” he added. “Everywhere we’ve dug we’ve found archaeology. “Elsewhere in the trenches we’ve found material dating back thousands of years – 7500 years to the end of the period of the first hunter-gatherer settlers, the Mesolithic period, and we’ve found their flints. “We’ve found 6000-year-old flints, projectile heads and knives from the time of the first farmers. The finds have included the blade of an implement probably used to cut meat, which is still sharp 7500 years after it was carved. The entire site has been meticulously recorded and will be written up, so while the trenches have been filled in, the discoveries and the archaeology will still be available. “Because the landscape has changed so much, it’s got people really interested in their place,” Mr Campbell said. 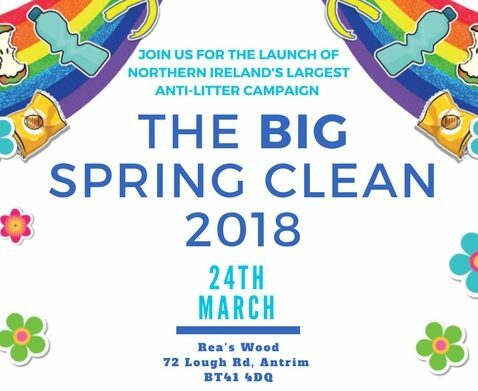 Join us on Saturday 24th March for the launch of Northern Ireland’s largest anti-litter campaign, The BIG Spring Clean, at Rea’s Wood in Antrim. This is Northern Ireland’s biggest volunteer cleanup and it needs your help to keep the positive work going. In 2017 the cleanup, with the help of an amazing 111,000 volunteers, managed to lift an incredible 141 tonnes of litter. This year we’d love to help increase that total, starting with the launch event in Rea’s Wood. This years launch will run from 10am to 2pm on Saturday 24th March with lunch being provided for volunteers by Tesco’s. Rea’s Wood can be accessed by the lowest car park in Antrim Lough Shore Park. The BIG Spring Clean supports local community clean-ups across all 11 council areas in Northern Ireland. It is open to individuals, schools, community groups and businesses wishing to rid their streets of litter and discarded rubbish. Peatlands Park contains some of the best examples of raised bog habitat around Lough Neagh. 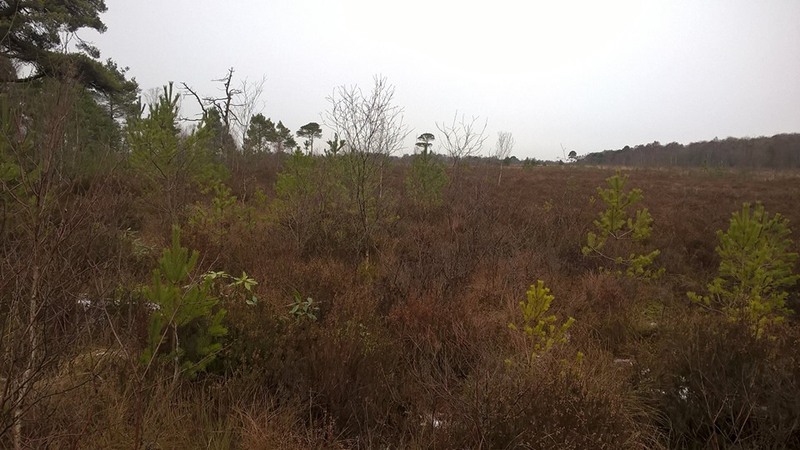 However scrub and rhododendron are beginning to encroach onto the peat. We are inviting volunteers to come help us clear the scrub back from the edges of the site and protect this valuable habitat. There will be refreshments and a guided walk on the rare plants and animals on the site. Join the Aghagallon Walking Group for a walk up Crewe Hill. The site has sweeping views of Lough Neagh and Ram’s Island. Our guide Pascal Downing will share the heritage of the site and it’s use as the ancient inaurgaration site for the Dal nAraidne kings of Ulster. We will meet at Aghagallon school at 2.30pm. Wear warm clothes and strong footwear. The cost is £4 per head but high viz vests and a hot cuppa is provided. Washingbay is an important community hub. It is also an access point to Lough Neagh with beautiful views over the Lough and an attractive shoreline path to the Holy River. Come help us carry out a litter lift and give the place a spruce up for summer visitors. Wrap up warm, wear strong waterproof footwear. All tools and equipment will be supplied.